Skyline’s high performance weatherproofing and integrated guttering systems provide industry-leading rainwater protection. 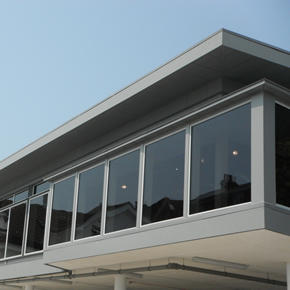 Skyline includes fascia and soffits, copings, cills and surrounds manufactured from high quality, in-house, BBA certified powder-coated aluminium. Easy to install, 100% recyclable and with 25 years life expectancy, it is the ideal solution for roofing and gutter interfaces. Skyline includes a range of 26 colours, as standard, as well as bespoke design and manufacture to suit individual project requirements. 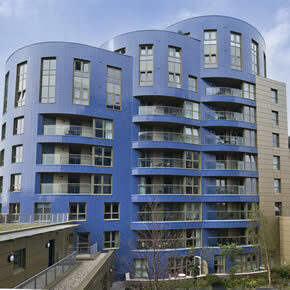 Its beautiful and contemporary aesthetics are perfect for ultra-modern new builds and commercial buildings. Skyline Fascia comes in a standard range of four bold generic shapes with top of the range roof edge details to suit all designs and budgets. Additionally the Skyline Soffit is designed to work on overhanging soffits and canopies or as part of a Skyline fascia system. Skyline Copings provide an economical, easily installed and maintenance-free capping in conjunction with flat or pitched roofs. 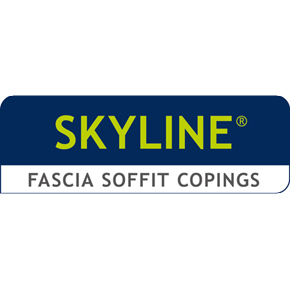 Available in a wide range of colours, standard or made-to-order designs, Skyline Copings are suited to new build and refurbishment projects. 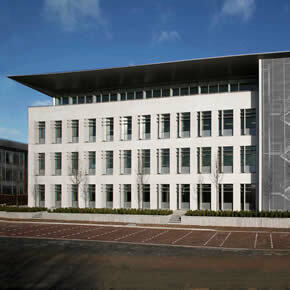 Skyline Cills & Surrounds can be manufactured to your exact specification, providing a perfect finish to the building. Available in 26 standard colours as well as any RAL colour. 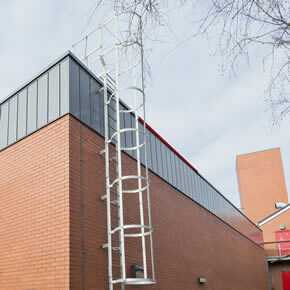 Skyline is part of the Alumasc Water Management Solutions Group - find out more about AWMS here. 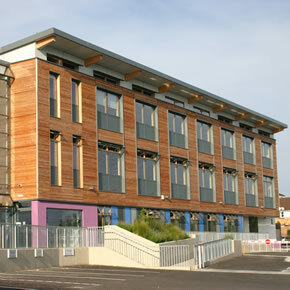 Skyline Fascia and Soffit has been incorporated into the design of Kingswood Locality Hub, a new regional centre for South Gloucestershire Council. 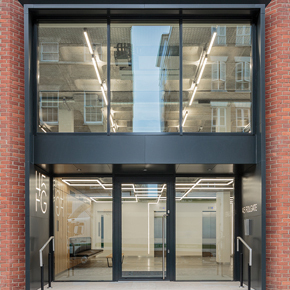 An ‘aerofoil’ shaped fascia soffit system from Alumasc’s Skyline range has been specified for use in the development of O2 UK’s new headquarters.